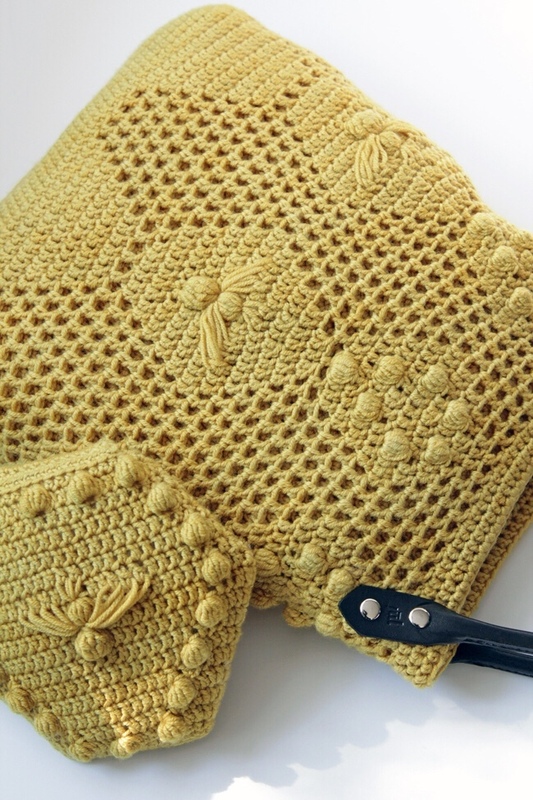 Get the Pattern / Join the Ravelry Group / Does your library have The Beekeeper’s Apprentice? As promised, the Read Along Crochet Along is here! 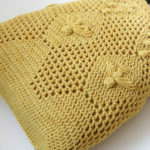 Folks who preordered the Worker Bee Bag received the pattern in their inboxes yesterday, some people have been chatting in the Ravelry Group, and books have been opened. For those who missed the announcement last month, we have just kicked off the first-ever Read Along Crochet Along, so throughout the month of April, everyone is welcome to crochet the Worker Bee Bag and read & discuss The Beekeeper’s Apprentice by Laurie R. King. The pattern was inspired by the book we’re reading too – it’s really fun! For any folks out there who are new to “-alongs” (meaning a knit along or crochet along or stitch along), let me give you a brief overview of what’s happening here. 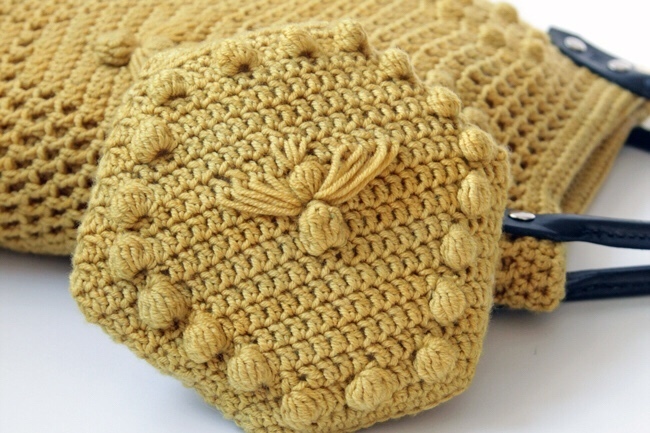 First off, these things are often abbreviated CAL or KAL, for Crochet Along or Knit Along. 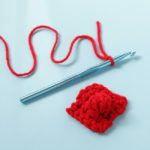 What happens during an “-along” is this: for a predetermined period of time, a group of crocheters (or knitters or sewists) make the same project/pattern at the same time. It’s a fun way to share in the making experience with fellow craft nerds enthusiasts, and you can share progress and ask for help if you run into issues during the crafting process. Hands Occupied -alongs have been everything from how to make cuff down socks from start to finish to last fall’s mystery knit along inspired by The Night Circus. (BTW, mystery “-alongs” are very popular and add an extra layer of fun. You receive part of your pattern every week or so, so you can’t work ahead of the rest of the group doing the KAL.) In the end “-alongs” are a fun way to make crafting more social and help hold you accountable with a deadline to motivate a speedy finish to your project. Where does the Read Along part come in? The Read Along concept is an original of mine. I feel like it’s time to say that in print based on the amount of times people message me on my Ravelry or Instagram saying, “I’ve never done a Read Along before! Do you know of any other folks who do these?” Love the enthusiasm, but no I don’t, because I invented this idea. ;) There are so many knitters and crocheters who also love books, and I love listening to audiobooks while I craft. After leaving my career as a Librarian (more on that here) to focus on running Hands Occupied full time, I wanted to do something to capture the fun feeling of running library book groups, but give it a yarny twist. And the Read Alongs were born. To help us avoid spoilers and keep up with our reading pace, below is a schedule of where to read in The Beekeeper’s Apprentice each week. It breaks down pretty nicely in our one-month timeline (April 1-30). Just make sure not to discuss anything past the listed stopping point in the Ravelry Group until the appropriate week. For example, please don’t discuss anything that happens after Book 1 until April 18. PS: In The Beekeeper’s Apprentice, the book is broken up into “books” instead of parts. 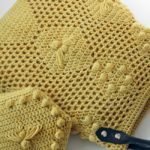 Throughout the RALCAL, I’ll be publishing blog posts related to the pattern, including tutorials, inspiration and a fun look behind-the-scenes at the design process. The RALCAL giveaway (more on that below) runs 4/1 through 11:59 p.m. on 4/30. The winner will be contacted 5/2 and announced in the 5/4 Picks of the Week post. The RALCAL runs during the month of April, having kicked off Sunday, April 1, and it ends on Monday, April 30. This is NOT a mystery crochet along, so when you buy the pattern, you get the whole thing all at once. Official hashtags for the Read Along are: #readalongIRL & #RALCAL, and the pattern hashtag is #workerbeebag. We have some really spectacular prizes for everyone participating in the Read Along Crochet Along this spring. Why Knot Fibers donated a skein of their Spunky yarn in the Smoke and Shadows colorway, Love & Leche gave us one of their lovely lotion bars (appropriately made with beeswax), Jul Designs contributed a set of their amazing bag handles, and Darn Good Yarn donated one of their handmade wooden yarn bowls (the very yarn bowl I myself use)! To enter the giveaway, use the box below. If you’re on mobile, you’ll have to click a button or visit this page to enter. 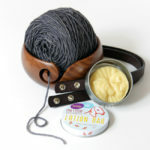 Giveaway prizes provided by Why Knot Fibers, Darn Good Yarn, Jul Designs, and Love & Leche. A closer look at the RALCAL Prizes! My very first ever CAL – love it!